GUESS WHAT! 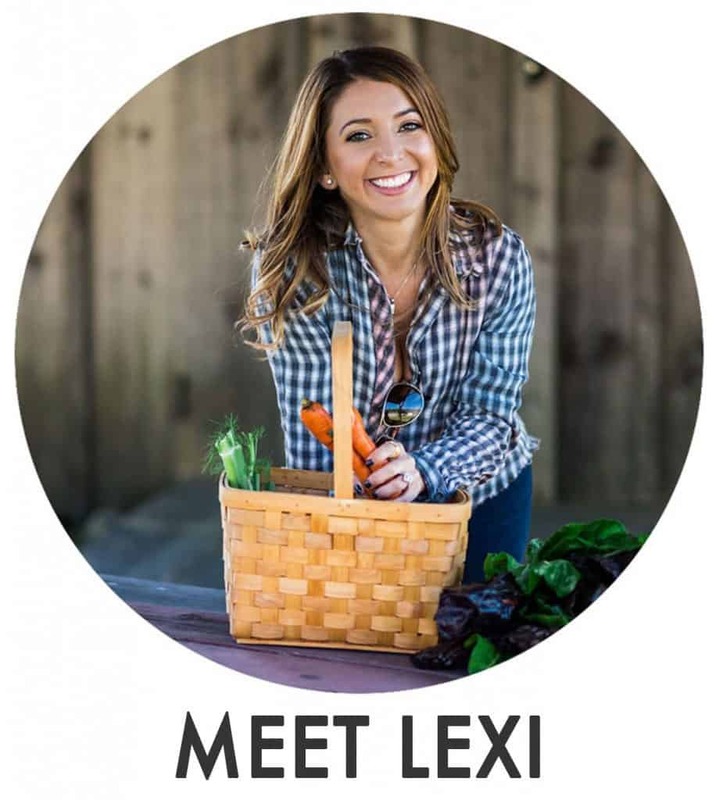 For those of you who have long asked for a Lexi’s Clean Kitchen cookbook to hold in your hands, get messy with in your kitchen, and cook nourishing meals for your family and friends, this book is for you. Thank you! I have poured my heart into this book, and packed it with content that I know you will love. I simply cannot wait for you to get your hands on it! 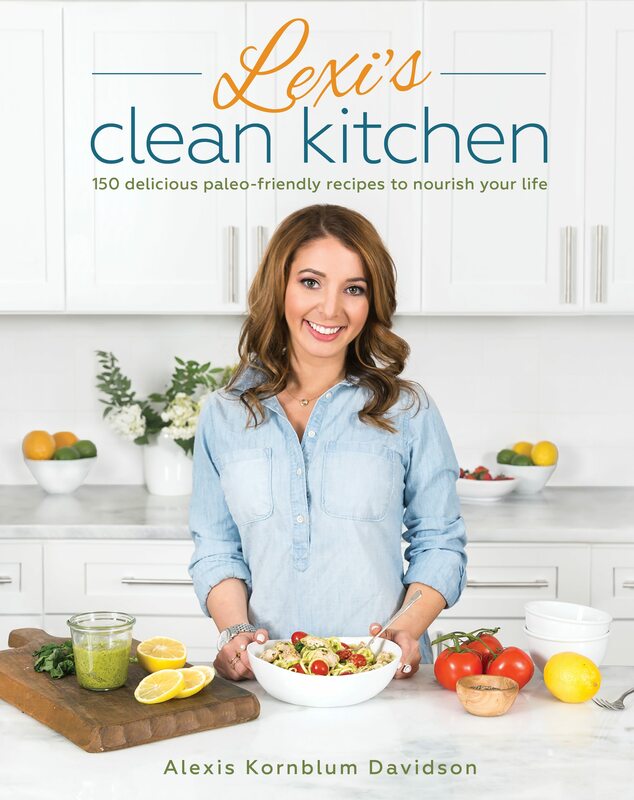 I am so excited to finally be able to share with you the cover for the Lexi’s Clean Kitchen Cookbook! I wrote this book to put dietary labels and restrictions aside, and to create a resource filled with delicious recipes right from my kitchen to yours. Whether you eat gluten-free, follow a paleo diet, are using food to heal, or just love good food — this book is for you! There are over 120 brand new recipes but don’t worry, I’ve also included a bunch of modified reader favorites. I could not have done this without all of you, so thank you, thank you, thank you. I am beyond grateful every single day. Over 150 delicious, tried and true recipes from my kitchen to yours. Recipes are free of negative health instigators like gluten, grains, dairy, soy and refined sugars- while still delivering the taste and gratification that you want! Chapters including Breakfasts, Main Dishes, Soups & Salads, Side Dishes, Appetizers, Dressing/Condiments/Sauces, Desserts, and Beverages. Step by step instructions and full color photos for every single recipe. Allergy & Special Diet labels, including dairy-free, egg-free, nut-free, vegan, and paleo-friendly for easy navigation (all of the recipes are gluten-free). Ingredients and Pantry Staples Guide — so you’re prepared to cook the recipes! A variety tips, tricks, and tools such as A Guide To Clean Eating, A Conversion Chart, Entertaining Guides, Shopping Lists, & much more. Healthy meals that are packed with flavor, including: Classic Chili, Braised Short Ribs, One-Pan Arroz Con Pollo, Thai BBQ Salmon, and BBQ Chopped Cobb Salad, and healthier options for your favorite indulgent foods, such as French Toast Sticks, Perfect Waffles, Birthday Cake, Sandwich Bread, and No-Bake Cookie Dough Cups. Preorder is now available. Meaning your purchase today will guarantee a book at the lowest price, and that your copy will be shipped to your doorstep on the day it’s released: November 8th, 2016. Now, don’t worry… There will be lots of talk about the book before then, and sneak peeks of recipes, pages, etc., but in the meantime, since preorders are a big big deal in the publishing world, I would absolutely love you forever ever and be so grateful if you decided to pre-order a copy! Thank you so much for your love, support, and patience as I’ve written this book. I’ve put my heart and soul into it and I know you are going to love eating your way through it! You pre-ordering the cookbook will be SUPER helpful for the book to reach more people. Feel free to share this with your family, friends, colleagues, and anyone who may enjoy this book, too! 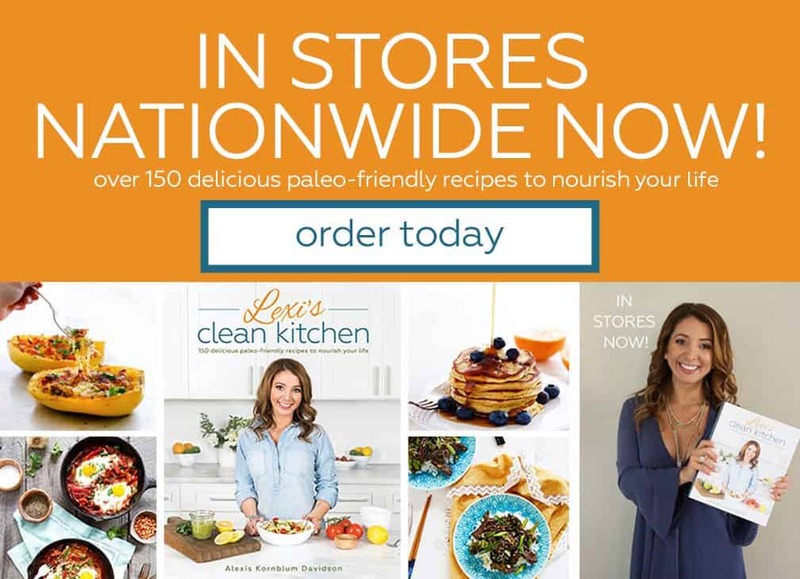 For more pictures of what you can expect, find the sneak peeks I have shared on Instagram under #lexiscleankitchencookbook and stay tuned for sneak peek recipes, giveaways, and more — coming soon! So proud of you Lex! Cannot wait to get my hands on the book!!! Thank you my beautiful friend! Love you! Congratulations, Lexi! Is there an e-book option available or do you ship to Europe (Romania)? I so need to have this book 🙂 Thank you! Congratulations! What a huge accomplishment – I can’t wait to cook from it!! Congratulations, Lexi! So good clean kitchen cookbook. Probably I’m planning to bookmark your blog . You actually have remarkable articles. Many thanks for sharing with us your blog. your blog is amazing, I’ll bookmark it.